What Color Is the Sacred? The English settlers who staked their claims in the Chesapeake Bay were drawn to it for a variety of reasons. Some sought wealth from the land, while others saw it as a place of trade, a political experiment, or a potential spiritual sanctuary. But like other European colonizers in the Americas, they all aspired to found, organize, and maintain functioning towns—an aspiration that met with varying degrees of success, but mostly failure. Yet this failure became critical to the economy and society that did arise there. 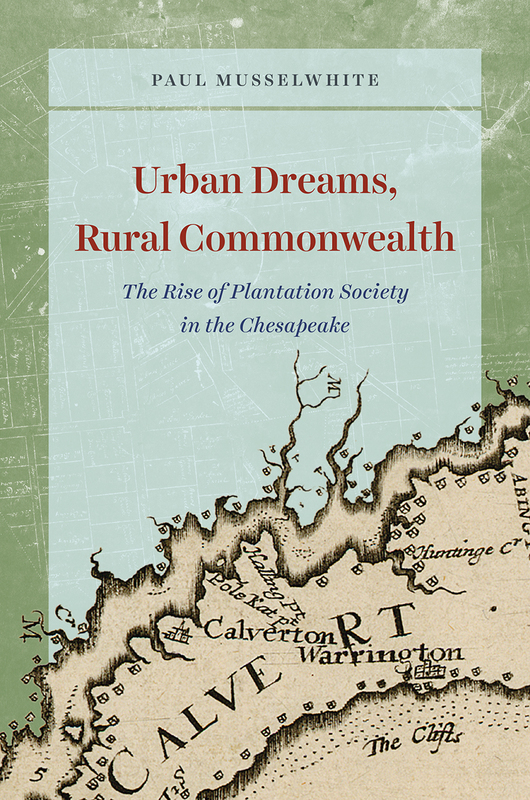 As Urban Dreams, Rural Commonwealth reveals, the agrarian plantation society that eventually sprang up around the Chesapeake Bay was not preordained—rather, it was the necessary product of failed attempts to build cities. Paul Musselwhite details the unsuccessful urban development that defined the region from the seventeenth century through the Civil War, showing how places like Jamestown and Annapolis—despite their small size—were the products of ambitious and cutting-edge experiments in urbanization comparable to those in the largest port cities of the Atlantic world. These experiments, though, stoked ongoing debate about commerce, taxation, and self-government. Chesapeake planters responded to this debate by reinforcing the political, economic, and cultural authority of their private plantation estates, with profound consequences for the region’s laborers and the political ideology of the southern United States. As Musselwhite makes clear, the antebellum economy around this well-known waterway was built not in the absence of cities, but upon their aspirational wreckage.